Oxfordshire company and director have to pay £24,000 for illegally burning and storing waste. The company which operates and owns Faringdon Business Park in Oxfordshire, Tapecrown Ltd, and its director, must pay a fine of £24,000 as a result of losing a case in the court of law by the Environment Agency. 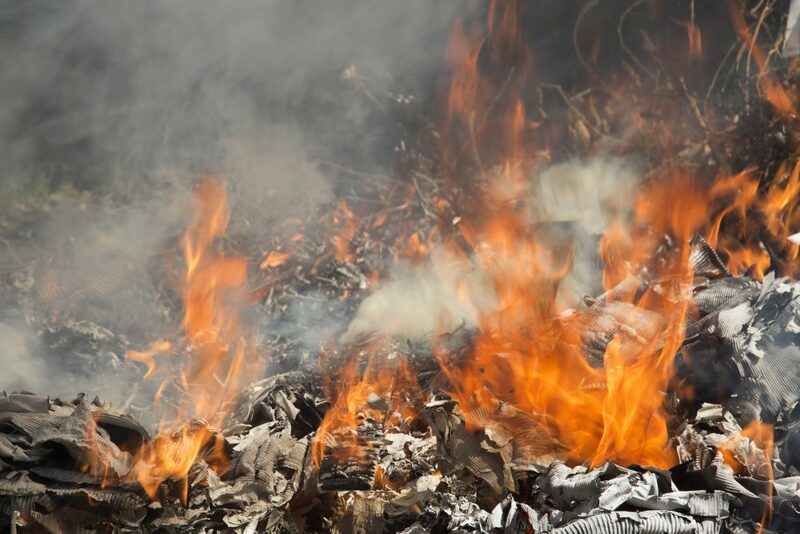 During the last week, the trial of TapeCrown Ltd and its 77-year-old director took place at Oxford Crown Court, following the discovery of the Environment Agency that illegal storing and burning of waste was occurring at the Faringdon Business Park, owned by the TapeCrown Ltd. Multiple persons sent tip-offs to the Environmental Agency which sent several letters to the TapeCrown Ltd warning them against the illegal activity that was occurring at the business park. Crown Court in Oxford learned about how TapeCrown Ltd with its director permitted a skip hire company and another company involved in tyres to work from the business park while not having the required permits. These two companies stored and burned waste at the location of the business park, without informing the EA that at that site a commercial waste was being handled. The court issued a £20,000 fine to the Tapecrown Ltd, as the company plead guilty to five counts of “knowingly causing the operation of a regulated facility without authority”. Furthermore, the director of the company was also found guilty, despite pleading not guilty, and was issued a personal fine of £4,000.